Ordinance or Law Coverage. 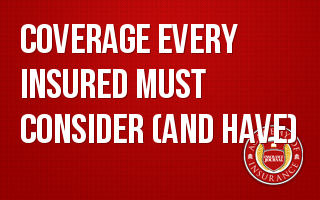 Do you know ALL of the building codes for every property account you insure? If you do, congratulations! However, many producers and insureds are unaware that complying with current building codes after even a minor loss can lead to a substantial out- of-pocket bill. Standard property forms provide a limited amount of protection so we will discuss the merits of including this coverage in your insurance proposals. Assuming you have selected an adequate amount of Business Income coverage, how are you doing with contingent Business Income protection? The earthquake and resulting tsunami in March of 2011 highlighted the dependency that businesses have on other organizations, both buyers and sellers, when it comes to their bottom line. Even the financial future of a small entrepreneur can be devastated by a loss on the other side of the country or the globe. The three words a business owner never wants to hear are: “We’ve been hacked!” There are no shortages of examples to illustrate the damage that unauthorized access to personal information can cause. Having an adequate amount of cyber coverage to pay for damages and the resulting legal bills can be a lifesaver for a for-profit or not-for-profit organization. While we are on the topic of technology, is your client’s computer system protected in the event of an electrical short or other form of equipment breakdown? It is no secret that the cost of computers, servers and networking services continues to increase so the big question is: does your insured have the funds to replace or repair the damage if a loss occurs? As the economy continues to improve, your client may be subject to a leasehold interest loss. For example, the ABC Company leased its space 4 years ago for $5,000 a month but similar space is current renting for $8,000. If a loss causes 50% damage to the premises, in many cases the lessor can terminate the contract. The question is: where will he or she get that extra three grand a month? Hopefully, they took your advice and purchased some additional protection! Some industry critics proclaim that insurance is a commodity, which is totally not the case. While saving money on insurance is good for the bottom line, the long-term success and viability of a business is much more dependent on the value of the coverage provided. As insurance professionals, our charge is to help our customers understand their exposures to loss and assist them in making the right decisions.